I have been getting facials from Dalini for over 16 years. The facials I get from her are spectacular for the face, healing for the soul and my entire being radiates. I feel that a facial from Dalini is truly a gift. I feel and look younger after emerging from her spa. I provide nourishing, revitalizing facials for women and men using exclusively Yon-Ka skin care products. Each facial is designed exclusively for you - your desires and special needs - to unveil your true beauty at all stages of life. Drawing upon my 30 years of experience, I blend a unique mixture of Yonka’s healing creams and oils specifically tailored to the individual. Hey Gorgeous, You’re Worth It! This is a balancing, deep pore cleansing facial. Utilizing anti-inflammatory plant extracts that will leave your skin feeling both rebalanced and glowing. Yon-Ka - 5 purifying steps that allow the skin to be deeply cleansed without any irritation. 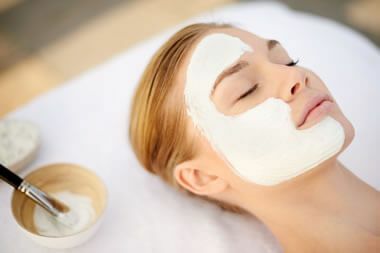 This is a long lasting, deep hydrating facial. Luxuriate with these vitamin rich creams and oils that heal the most dehydrated complexions. Don't have time for a full facial but need to keep your skin in fit condition? Clean and peel the skin so you're refreshed and glowing. Esthetician Dalini Anaman serves clients throughout Marin County, CA: San Rafael, San Anselmo, Corte Madera, Novato, Larkspur, and Fairfax. Dalini Skin Care Spa offers nourishing and revitalizing facials and waxing for women and men using Yon-Ka natural skin care products.